License Sales for 2013-2014 hunting and fishing licenses began on June 17, 2013. 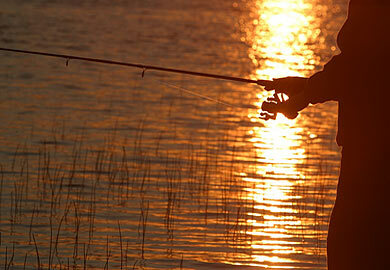 You can buy your South Carolina hunting and fishing licenses multiple ways. Licenses are available in person at any of the four regional S.C. Department of Natural Resources (DNR) offices or by visiting one of the 500 license vendors across the state. Licenses are also available 24 hours a day, seven days a week by calling 1-866-714-3611 or by visiting the DNR website. Residents and nonresidents age 16 and older must purchase the required licenses to hunt and fish in South Carolina. Persons born after June 30, 1979, must have successfully completed a hunter education course to obtain a hunting license. Hunting license applicants who do not have a hunter education certification may use a onetime exemption and apply for an annual Apprentice Hunting License. The apprentice hunter must be accompanied by a SC licensed hunter who is not licensed as an apprentice hunter, is at least 21 years of age, has not been convicted of a hunting or hunter education violation or received deferred adjudication of the same, and stays within a distance that enables uninterrupted, unaided, visual and oral communication with the apprentice hunter and provides adequate direction to the apprentice. South Carolina hunters and anglers remain the state’s top conservationists. Through your purchase of a state recreational hunting and fishing license, combined with excise tax collected on hunting and fishing gear, hunters and anglers contribute funding to South Carolina’s wildlife and sportfish restoration projects. This includes wildlife management, habitat management, research and education. Without these dollars, fish and wildlife conservation projects would be very limited in South Carolina.